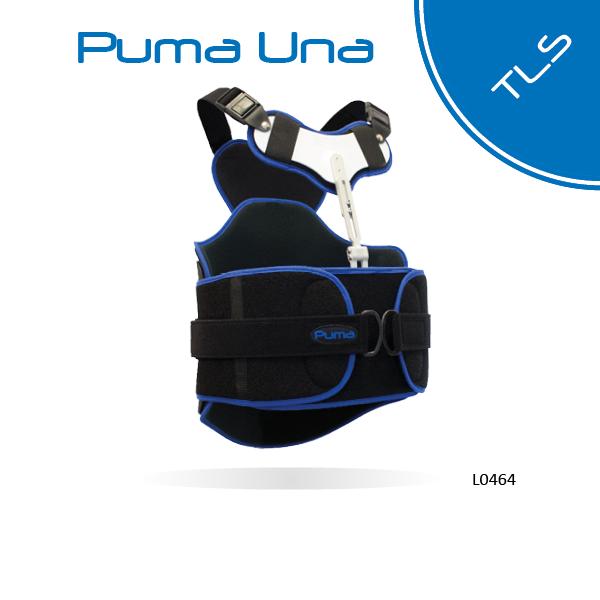 The Puma Una TLS spinal brace delivers maximum control for your patient with severe, high-level back pain. It delivers triplanar control by means of a posterior-lateral shell and circumferentially-overlapping plastic, a vertically-adjustable posterior strut, and a STEP (Sternal Thoracic Extension Plate) with shoulder straps. Adjustable-height STEP (Sternal Thoracic Extension Plate) extends to the sternal notch.